The Department for Material Physics conducts research within surface physics and surface chemistry, thin film physics, strongly correlated systems, spintronics, nanotechnology and semiconductor physics. The position concerns basic research within “physics and chemistry of surfaces in the Grätzel cell” related to development of solar cells and organic thin films. The work comprises experimental determination of the chemical bond between molecules and oxide surfaces and how this is affected by the surface structure and composition, determination of electronic structure and optical properties and development of new preparations methods. 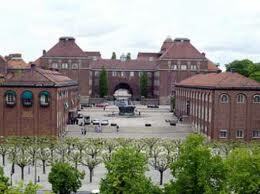 The work is primarily experimental and will be performed in our own scanning probe microscopy (STM) laboratory in Kista as well as at different synchrotron radiation laboratories in Sweden and abroad. Construction of new equipment and maintenance of existing equipment is an important part of the work. Good theoretical back ground is needed since advanced analysis and numerical simulations are part of the work. Suitable background is a master degree in Nanotechnology, Applied Physics, Materials Physics or equivalent. Furthermore we assume that the successful applicant is strongly motivated to conduct academic research, be able to work independently and critically analyse results and have good collaborative and communicative skills. Good knowledge in written and spoken English is mandatory. Knowledge in Swedish is an advantage. These qualifications must be highlighted in the application. Deadline for application is May, 16th 2011. Please refer to the reference number I-2011-0254 in your application.